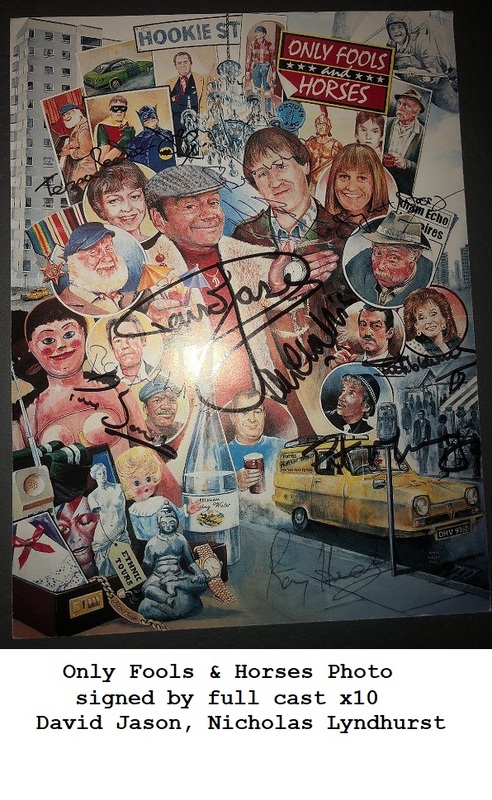 Here is an awesome item. Perfect for the man who has everything ! Neville Duke was a British test pilot and one of the most successful fighter aces of the Second World War. He was in fact the most successful Western Allied ace in the Mediterranean Theatre, and was credited with 28 confirmed victories ! After the end of the war, Duke was also acknowledged as one of the world's foremost test pilots. In 1953, he became holder of the world air speed record when he flew a Hawker Hunter at 727.63 mph (1,171.01 km/h) over Littlehampton. 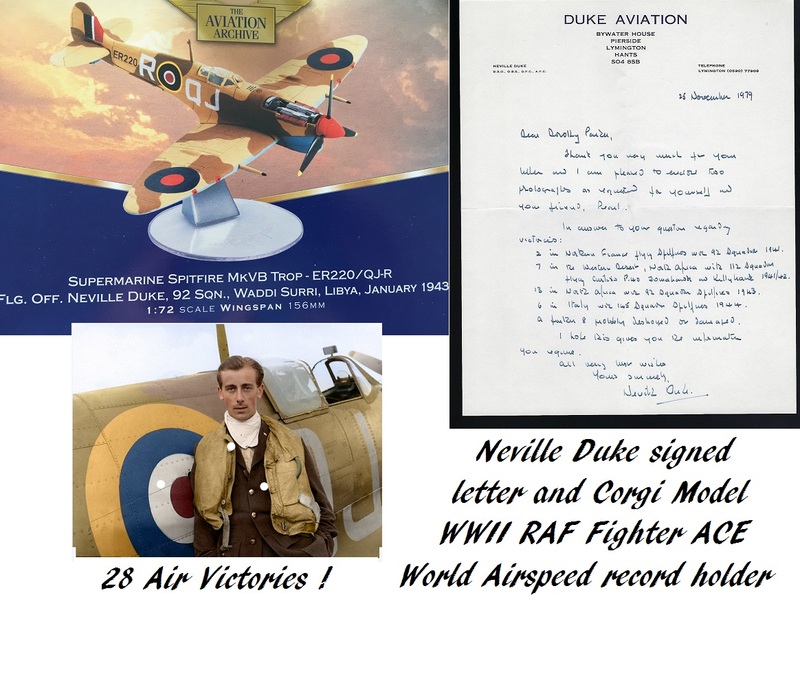 - A handwritten letter by Neville Duke, highlighting all his victories, alongside aircraft type and dates , also signed by the RAF legend ! This is a very rare Corgi model shown in its 92 Squadron markings, as originally flown by WWII British fighter ace Neville Duke, in 1943. A real one-off rare collection ! Comes with mint model in its original Corgi box, which could be mounted alongside for an awesome display piece.